Good poetry offers ways of expressing emotions, capturing experiences and language techniques that stimulate students in ways other genres don’t. So how can teachers get students more engaged in poetry? “In short, they can make poetry more prevalent and therefore more relevant,” says poet and writer, Vaughan Rapatahana (Te Ātiawa, Ngāti Te Whiti). This can be done by reading poems out loud more, exposing students to poetry available in New Zealand and beyond, encouraging students to write and refine their own poetry, and creating opportunities to engage with poets and poetry resources. In Aotearoa, there’s a bifurcate understanding of what poetry is, Vaughan says. For students who write their own poetry, poetry is about individual identity. 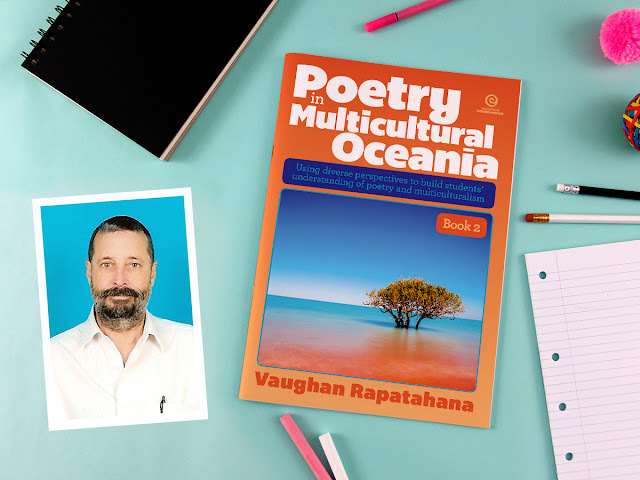 Vaughan’s second book in the hugely popular Poetry in Multicultural Oceania series is published this month. It continues to use diverse perspectives to build students' understanding of poetry and multiculturalism. About Vaughan Rapatahana: Vaughan was a semi-finalist in the Proverse Prize for Literature in 2009, highly commended in the 2013 erbacce poetry prize (from 6000+ entrants), and won the inaugural Proverse Poetry prize in 2016, the same year as his poetry collection Atonement was nominated for a National Book Award in Philippines. His latest poetry collection is ternion (erbacce-press, Liverpool, England). Rapatahana has a PhD in existential philosophy from University of Auckland, on the novels of Colin Wilson, whom he has written extensively about and will lecture on at the Wilson conference in Nottingham in July, 2018. He is also a language critic and instigated and co-edited English language as Hydra and Why English? Confronting the Hydra (Multilingual Matters, U.K, 2012 and 2016). 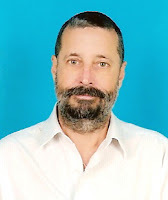 He has also written commentaries for Jacket 2 (University of Pennsylvania).